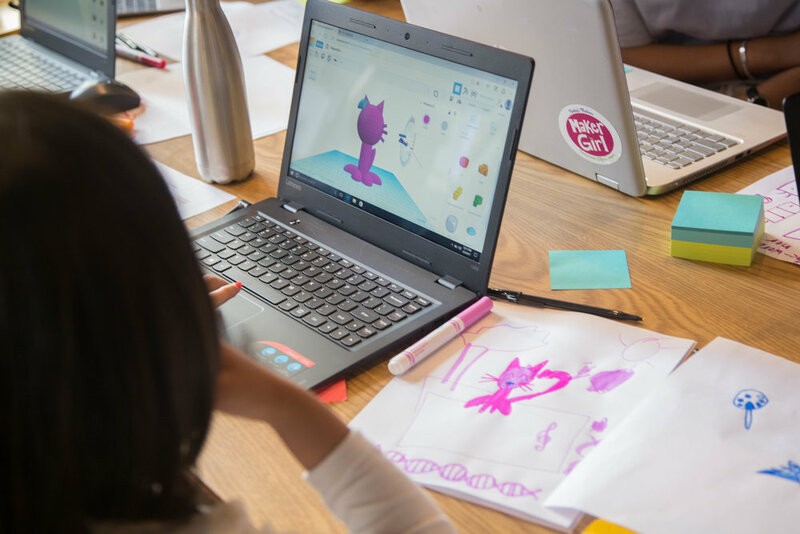 Look for a MakerGirl session near you and sign up here! 1. Additive manufacturing is the technological process of building a 3D object layer-by-layer. A computer aided design software reads data from a file to add successive layers of materials until the sketch is complete. 2. Plastic, metal, concrete, chocolate, and more! In the future, applications could even include human tissue. 3. First the material is heated up, then the design is traced, and slowly the design is built layer by layer. 4. 3D printing can be used to make medical implants, intricate birdhouses and miniature Eiffel Tower. These are just a few fun examples; however, the possibilities are endless.